Mariehamn is the capital of Åland, an autonomous territory under Finnish sovereignty. Popular historic sites such as Bomarsund and The Maritime Quarter are in your itinerary. Explore Mariehamn's surroundings by going to Eckero (Aland Hunting & Fishing Museum & Leklandet). Pack the 14th (Wed) with family-friendly diversions at Smart Park. 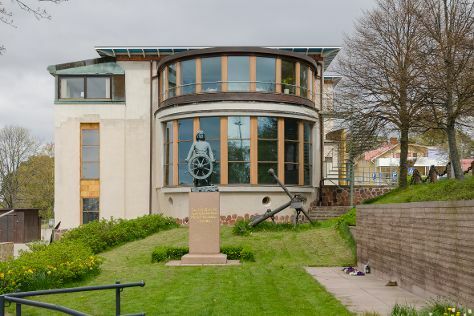 There's still lots to do: brush up on your military savvy at Aland Maritime Museum, test your problem-solving skills at popular escape rooms, tour the pleasant surroundings at Lilla holmen, and examine the collection at Kastelholm Castle. For ratings, where to stay, reviews, and other tourist information, read our Mariehamn driving holiday planner. Berlin, Germany to Mariehamn is an approximately 10.5-hour flight. Due to the time zone difference, you'll lose 1 hour traveling from Berlin to Mariehamn. In August, daytime highs in Mariehamn are 22°C, while nighttime lows are 13°C. On the 23rd (Fri), you'll travel back home.